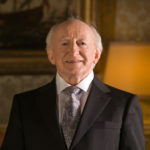 Our Patron is Michael D. Higgins, President of Ireland. Tony is a co-founder and a partner in Byrne Curtin Kelly, a Dublin based accountancy practice formed in 1998. Prior to the forming of Byrne Curtin Kelly, he acted as Technical Advisor to the Institute of Certified Public Accountants in Ireland for a number of years. Tony has also served on committees on behalf of CPA, including auditing practice and is a former Director of IAASA (Irish Auditing and Accounting Supervisory Authority) as a nominee of the accountancy profession. Tony has over 30 years’ experience in the accounting profession working with clients to grow and develop their business and specialises in Audit and Business Consulting particularly in the Hotel and Leisure and Nonprofit sectors. He is currently a member of the audit committee of The Irish Red Cross. Skills: Accountancy, Finance, Audit & Business Consultancy. Gerry Culligan is Commercial Director, Iarnród Éireann/Irish Rail since January 2012 with responsibility for delivering profitable revenue growth and enhancing customer experiences. Gerry has over 25 years commercial and financial experience across a number of industries, holding senior Executive Director roles in Financial Services with Aviva, in Communications with Eircom and in Grocery with Mars Ireland. Gerry has previously held positions as non-executive Chairman of Eircom Phonewatch, Ireland’s leading residential home security company and is a former Director of the Eircom Employee Share Ownership Trust. Gerry is an accountant (FCMA), a member of the Institute of Taxation in Ireland (AITI) and a member of the Marketing Institute of Ireland (MMII). Also, he holds a Non-Executive Directorship at Trócaire. Skills: Strategic Development and Implementation, Business Transformation, Commercial Acumen and General Management. Michael is currently Director of the Department of Professional Practice with KPMG Ireland. Prior to that he acted as Chief Executive and was Head of Financial Reporting Supervision with IAASA (Irish Auditing and Accounting Supervisory Authority). He established Ireland’s statutory accounting enforcement function and oversaw the establishment of Ireland’s statutory Audit Inspection regime. He was the Irish Observer at the Corporate Reporting Council of the FRC which produces UK and Irish accounting standards. He was also Ireland’s representative at ESMA’s European Enforcers Co-ordination Sessions which is tasked with coordinating accounting enforcement across Europe. In the past he was also a member of the Accounting Consultative Committee of CCAB-I and chair of the CPA Institute’s Financial Reporting Committee. Michael is a qualified accountant and a member of the Institute of Certified Public Accountants (CPA Ireland) and the Institute of Chartered Accountants Of England and Wales (ICAEW). Skills: Accountancy, Senior Management, Public Sector Governance. Elaine is an experienced HR expert across the Banking & Financial Services, Pharmaceutical and the Nonprofit sectors. Her managerial experience includes; Strategic HR Planning, Organisational Development, Change Management, Talent Management, Corporate Social Responsibility, and Project Management. Elaine has a lifelong interest in social inclusion and a commitment to the wider community. She is a Chartered Member of CIPD and has a Masters in Management and Innovation in Social Enterprise from DCU. Skills: Strategic HR Planning, Organisational Development, Talent Management and Project Management. Christina is the National Coordinator of Chronic Pain Ireland, the national support group for people living with chronic/persistent pain campaigning for greater education of chronic pain amongst healthcare providers and the general public while providing a range of support services throughout Ireland. She has ten years’ experience working and volunteering in the Charity Sector in Ireland. Christina holds a BA (Hons) in Business Studies and previously worked within the third level education sector in a variety of senior administrative and managerial roles over a seventeen year period. Skills: Project & Change Management, Event Management, Communications. Gerry is an independent consultant working with commercial and nonprofit clients to improve their governance and compliance structures, processes and culture (including data protection) while also providing support to enhance relations with Government, develop and implement compelling strategies and improve strategic communications. Previously Gerry held a number of senior leadership roles in Coillte, the State forestry company and was Group Director of Strategy and Governance until September 2016 as well as being Chairman and a Director of a number of subsidiary and associated companies. An advocate of sustainable business practices and expert in environmental, social and governance (ESG) reporting, Gerry led Coillte to win the European Business Award for Corporate and Environmental Sustainability in 2013 and has been a judge in that competition since 2014. Gerry was the first external Director to be elected to the Board of Dóchas, the Irish Association of international development organisations. Gerry holds a M.Sc. (Mgmt.) degree from Trinity College and is Chartered Director. Skills: Corporate Governance, Strategy, Data Protection, Business Development, Change Management, Environmental, Social and Governance (ESG) Reporting and Strategic Communications. Clodagh is a partner in Crowe’s Consultancy department and she and her team joined from Newmarket Consulting where she was Managing Director. Clodagh has almost 20 years’ experience working with organisations in the commercial, nonprofit and public sectors. Her expertise is in working with organisations experiencing challenges where creative solutions make the difference. Her particular interests are arts and culture, the creative sector, education, health and social care, and tourism. She has worked in multi-national and owner-managed environments, in national and international contexts. Prior to joining Newmarket, she worked in a marketing capacity in the media, leisure and electronics sectors in Ireland and the UK. Clodagh graduated from Dublin City University in 1993 with an honours degree in International Marketing and Languages (German and Spanish) and graduated from NUI Maynooth in 2010 with a Masters in Sociology. She has also successfully completed the Advanced Certificate in Business Counselling through Durham University and the Certificate in World Class Marketing via the Marketing Institute and is certified in Training and Field Work as an Innovation Coach with Enterprise Development Group US. Skills: Marketing and Digital Marketing, Strategy, Organisation Development, Business Planning and Innovation. Joe is the Principal of Donal M Gahan Ritchie & Company Solicitors which is a general legal practise based in Dublin 2. Joe has over 20 years’ experience of dealing with a variety of legal matters. Joe is a qualified solicitor and was admitted to the Roll of Solicitors in 1998. Skills: Legal Compliance, Commercial and General Management. Margaret is the CEO of Heart Children Ireland, a support group for parents and families of children with a Congenital Heart Disorder. Heart Children also supports those with acquired heart disease. She has over 18 years’ experience as the CEO of a charity. Margaret is also the Vice Chair and a Trustee of the Grant Making Committee of the Hospital Saturday Fund. She also has over 20 years’ experience working in credit control at EBS Building Society. Skills: Fundraising, Event Management, Project Management, Public Speaking and nonprofit management.